‘OK, this is a secret, but I think that nursery rhymes are the most relaxing and fun songs.’ Karisma Kapoor. | Sally says . . . eat, sleep, work, read, play, draw, bark . . .
← ‘Life is simple. Just add water.’ Anon. ‘OK, this is a secret, but I think that nursery rhymes are the most relaxing and fun songs.’ Karisma Kapoor. 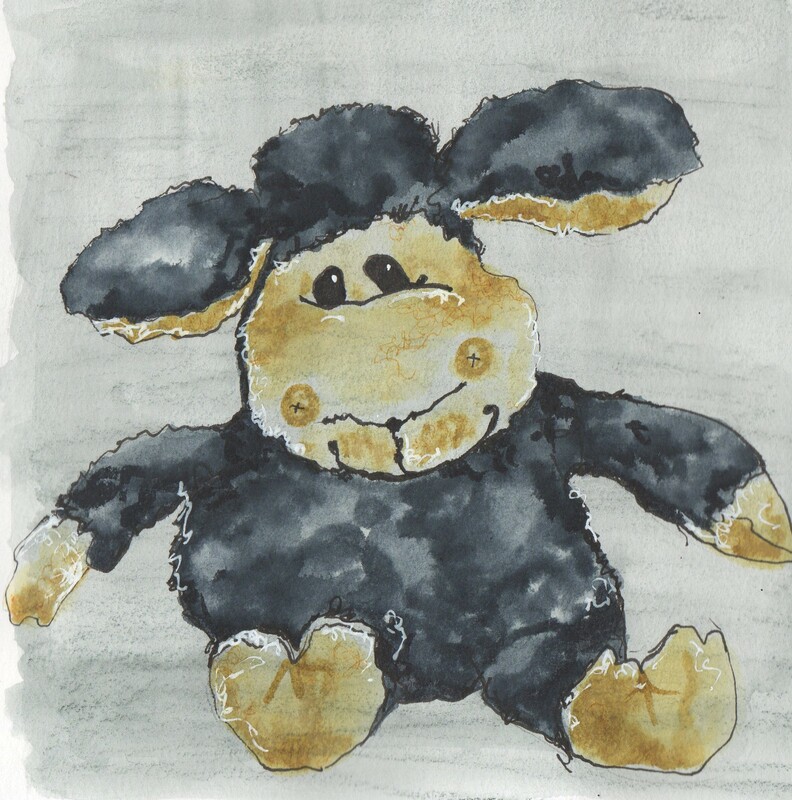 Last Sunday Maudie came to me and dropped her little black Sheep onto my lap. It’s not what you’re thinking. She has not suddenly chosen Sheep to be a replacement for her beloved (and rapidly disintegrating) Ball. Nor did she even want to play. It’s just that, on occasion, Maudie will appear at my side carrying one of her many (many) toys and nudge me with it until I take it from her. Once I have done so (and thanked her profusely) she will smile happily and wander away. I am not sure why she does this. Perhaps she just thinks I look like I need a toy to play with . . . I remember hearing a while back that there was talk of banning this nursery rhyme in some kindergartens because of it’s ‘racist’ overtones. Well, I am not even going to go there (good grief) but when I researched where the rhyme originated it seems that it was actually written as a bit of a diatribe on the harsh tax on wool in feudal England—one-third would be taken for the king and nobility, and one-third for the church, which consequently left very little for the farmers . . . or the little shepherd boy ‘who lives down the lane’. 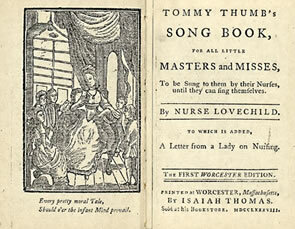 On further reading I discovered that other nursery rhymes (like many fairy tales) also had pretty gruesome origins. Take the lovely ‘Mary Mary quite contrary, How does your garden grow? With silver bells and cockle shells And pretty maids all in a row’. Sounds like a lovely little ditty about a girl and her garden doesn’t it? Nope. 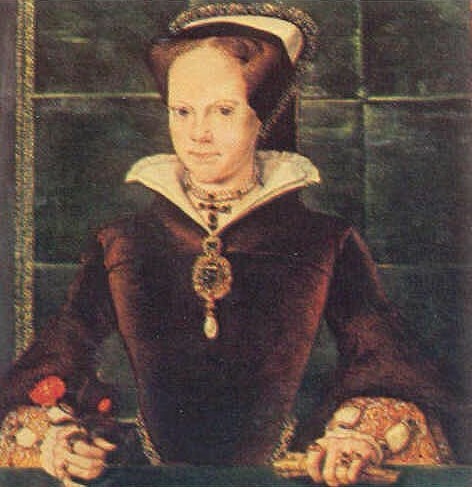 Many believe the original Mary to be the Catholic Queen ‘Bloody Mary’ and her garden was actually a graveyard which she filled with unlucky Protestants. The ‘silver bells and cockle shells’ were instruments of torture and the ‘. . . pretty maids (or maidens) all in a row . . .’ were guillotines! Lovely. 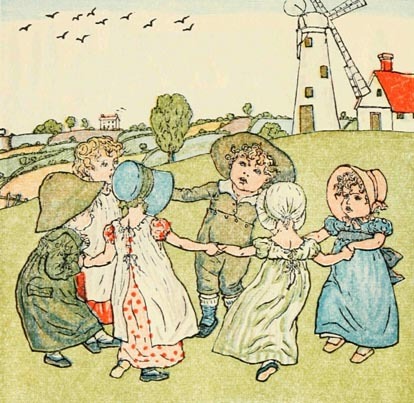 And there’s ‘Ring around the Rosy, a pocketful of posies. . .’ What harm could there possibly be in that? Well, only that you might actually be singing about the symptoms of the bubonic plague which included a rosy red rash in the shape of a ring on the skin. People often filled their pockets with sweet smelling herbs (posies) due to the belief that the disease could be spread by bad smells. ‘Ashes, ashes, we all fall down . . . ‘ Eeerk. After reading a few more of these origin stories I have decided I am not going to do at any more research on this subject. Karisma Kapoor’s ‘relaxing and fun songs’ now seem a tad disturbing to say the least. I won’t be able to sing nursery rhymes to Maudie ever again without wondering what the hell I am really singing about. Never mind. I’ll go back to my old standard instead. 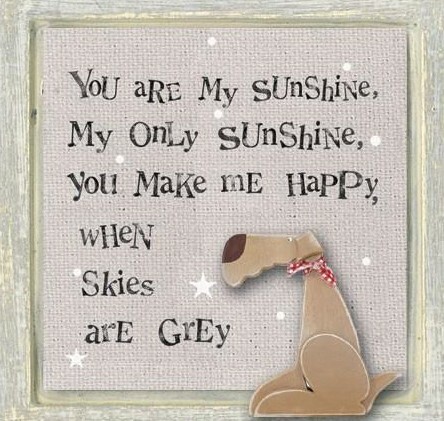 There couldn’t possibly be any troubling undertones in ‘You are my sunshine, my only sunshine . . . ‘ Could there??? Awww that face Sal. You have captured the pure lurve 🤗👍 As for those nursery rhymes it was a wise decision to abandon the research…definitely a case of where ignorance is bliss! That might be my favorite sketch! You sing to Maudie! Fergus seems to like it when I sing. Somehow, we’ve settled on “Moon River” during thunderstorms…don’t ask me why, but I’ve been singing this old Doris Day song (hey, I’m in the shower, so it’s right up there with Doris) when Fergus routinely comes to watch me shower https://youtu.be/aw2phldcmCQ. My mom used to sing that song and for some reason it stuck. No horrible, underlying meaning. I sing to all my girls – although some are more appreciative of my skills than others. I might have to try ‘Moon River’ during the next thunderstorm. I mean, if it works for Fergus . . .